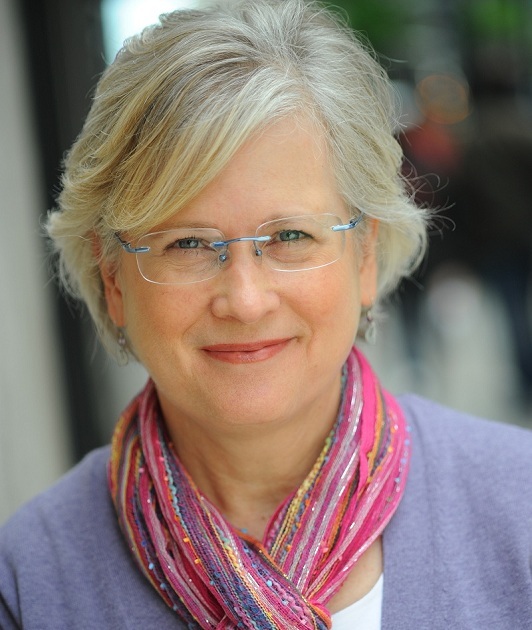 Today, The Writing Well is delighted to feature Sandra Beckwith, a former national award-winning publicist who now teaches authors how to be their own book publicists. Sandra combines her publicity experience and skills with her love of books and the talented people who write them.She works as a book marketing coach, publishes the free Build Book Buzz e-zine, teaches an e-course on book publicity and promotion, and offers educational products that help authors become more successful. Q. What drew you into the book publicity business? I’ve been a publicist my entire career (my degree is in journalism and public relations) until a few years ago, when I stopped taking on publicity clients so I could focus on both writing articles and books and teaching authors how to be their own book publicists. I had many authors as clients, and was my own client when I wrote three nonfiction books for traditional publishers. I love working with authors. Q. What is unique about what you offer? Those who subscribe to my free Build Book Buzz newsletter and follow my blog know that I cut out all of the “fluff” and zero in on exactly what they need to know to accomplish a goal or execute a book marketing related task. 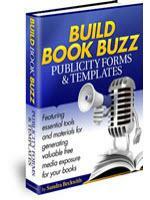 The information I share, whether it’s in my “Book Publicity 101: How to Build Book Buzz” e-course, the newsletter, or my blog, is very detailed oriented. After working with authors for so many years, I know what questions they will ask before they ask them, and I provide the answers in a way that’s easy to understand and follow. Q. With the explosion in self-publishing and the massive growth in social media channels, has it gotten a lot “noisier” out there to get your book in front of influencers and the public? How do you cut through all that clutter? Great question! You cut through it by knowing as much as possible about the people who are most likely to buy your book (and sometimes that’s not who you think it is), then getting your book title in front of them. When you know your book’s target audience well, you know whether they listen to the radio or use Pinterest, whether you’ll reach them through podcasts or in the business section of daily newspapers. Q. What is the biggest mistake first-time authors make when it comes to publicizing their book? They put all of their energy and money into getting reviews. Reviews are important, but securing them should be just one of the many things you do to publicize and promote your book. Q. Is there a magic formula to determining which social channel is best? Facebook? Twitter? Pinterest? LinkedIn? Blog? There isn’t, and most authors will want to use at least two. It depends on your target audience — you go where they are. For example, if you’ve written a business book,learning how to use LinkedIn should be part of your strategy. I almost always recommend having a blog on your website (not on blogspot.com or blogger.com) for search engine optimization (SEO) reasons. A blog will generate the relevant keywords that will help your target audience find you in an online search, so it’s a solid tactic for most authors. We can find a justification for most social media channels, but it’s hard to find the time to use all of them efficiently and effectively, so I recommend identifying one or two that are a good fit, and using them wisely. Q. What are the top 3 strategies that any successful author MUST DO to maximize his or her visibility? Create a quality website with an appropriate domain name (URL) and load it with great content. Quality is important because if it looks amateurish, we’ll think your book is amateurish, too. Learn as much as you can about your book’s target audience. Who are they? What do they read, watch, listen to? What social networks do they use? Learn as much as you can about book publicity, promotion, and marketing. Learn enough to know which tactics will get you in front of your audience. Q. How important is it to target your audience or niche? Do authors you work with often not realize that there is a particular demographic group that they should be marketing to? The other thing I’ve noticed is that fiction authors, in particular, overlook the niche audiences that they can target because of their book’s content. Q. Are traditional PR tools like a book launch press release obsolete? Do they need to be retooled to be relevant? 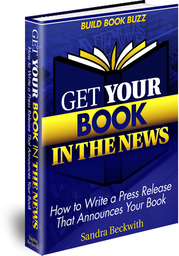 OK, this question made me laugh because I just released an e-book titled, Get Your Book in the News: How to Write a Press Release That Announces Your Book. No, they aren’t obsolete. They’re still absolutely essential. You might deliver them differently than we did when I started my career — now it’s e-mail instead of snail mail — but those time-tested tools are still powerful. Journalists recognize and expect them because when done properly, they help make their jobs easier. Q. What authors do you admire most for being PR savvy? 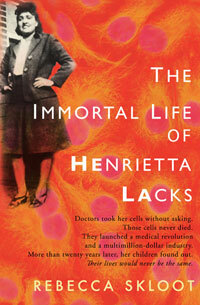 One in particular who stands out is Rebecca Skloot, author of The Immortal Life of Henrietta Lacks, not just because of the amazing story behind her book tour, but because she’s an excellent journalist who uncovered a great story and told it very, very well. Combined, they made that book a bestseller. This entry was posted in Book Publicity Tips and tagged Build Book Buzz, PR tips for self-published authors, Sandra Beckwith on October 1, 2012 by AnneWainscott.